Creepy and invasive ads on the Internet are becoming a hassle to deal with nowadays. They pop up at the worst of times and create distractions. Some of them even get downright offensive at the time. Fortunately, we have Ad blockers to deal with them. All software are not created the same, and sometimes you can’t be sure that you’re getting the value for your buck. It may happen that the application installs quickly but doesn’t block out much. Then others are too complicated to figure out how to work even though they provide plenty of security. This is a free add blocking software. Use it to block online advertisement as it supports web browsers, P2P and instant messengers. AdFender works as standalone applications and remains in the background. You can change its settings in the tab to decide what you want to block and what you don’t mind seeing. It blocks out all the ads when you're browsing different websites and supports a variety of web browsers that include Internet Explorer, Firefox, Chrome, Opera and Slimbrowser. This is Ad Blocking software that is a combination of Ad Blocker and proxy software. You are provided with anonymity against companies so that you can browse websites without any Ads. All you have to do to set up is installing and Running it. Configure your web browser, and you're ready. On the network settings, you can set the manual proxy configuration for HTTP proxy and SSL proxy – use the IP 127.0.0.1, port 8118 – to block annoying ads. It is a free application software that is used to block Ads from websites. It works on the principle of replacing the host file codes with the code to block Ads in just one click. You can revert to the original format any time you want. GT-Soft is a Windows based software and can be used with browsers like Chrome, Firefox, etc. You can use it to block even YouTube and Google Ads in addition to others. Feel like you have someone tracking your keystrokes using sneaky ads? Well, you don’t have to worry anymore. Ghostery is possible the best tracking software that is out there; It is available for Firefox, Safari, Chrome, etc. It is a free browser extension that lets you choose the companies you want to track. So you're making an informed and educated choice every time. Ghostery is a preferred choice for many users for this reason. 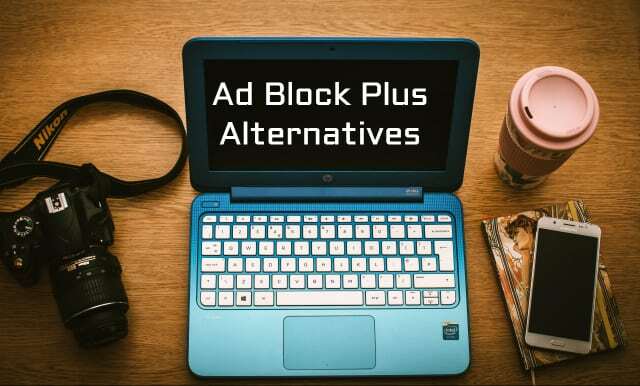 It is another free Ad Blocking software that lets you cut out banner ads, pop-ups, pop-unders, animated gif looping, cookies, blinking texts, etc., if something is annoying or distracting and unrelated on the page, this application will cut it out. Serenity sits in the system tray, and you can enable or disable its various options from the menu. It works with every modern web browser there is. It is the browser extension that allows you to choose to block ads from specific websites. It stops third party advertisements, trackers and malware sites. An extension of Firefox, it ha many fans and you can see the stats of how many sites have been blocked by uBlock Origin since installation. This is a CPU and memory efficient software. Its features are easily accessible and are very effective to use. You can use the toggle filtering feature to choose which ads o block. It cuts out ad scripts without any problem. It is an Ad blocking program that can filter and remove ads and Ad trackers with ease. It works with most modern web browsers including Firefox, Google Chrome, Opera, Safari and others. You can now browse your websites without any ads quickly. Adguard allows you to enable or disable the ‘Show Useful Ads’ feature. It also blocks any websites with viruses. It is a free Ad blocking program. It has a privacy enhancer for the Firefox browser and checks all the pages, images, style sheets and java scripts against the regulations when Firefox begins to load them. It is a free, simple and easy ad blocker to use to keep the irritating ads away from your browser screen. You can use it to block out 99% if your ads from downloading. If you want, you can block banners too. Ticno Bancut supports all the modern browsers including Chrome, Opera, Firefox and Internet Explorer. It has the feature where you can add sites to the whitelist if you don’t want to block ads from particular sites. It is a Firefox extension that works very well for blocking out ads and other malicious content. You can install it quickly to block out any annoying ads. It has an interesting feature called ‘Acceptable Ads’ that allow you to choose which ads you don’t mind seeing. You don’t need to restart the web browser to use the application. Disable the extension on specific websites if you want. It also allows you to define and apply custom filters.